Express Delivery Service And Fast Shipping A Cardboard Box. 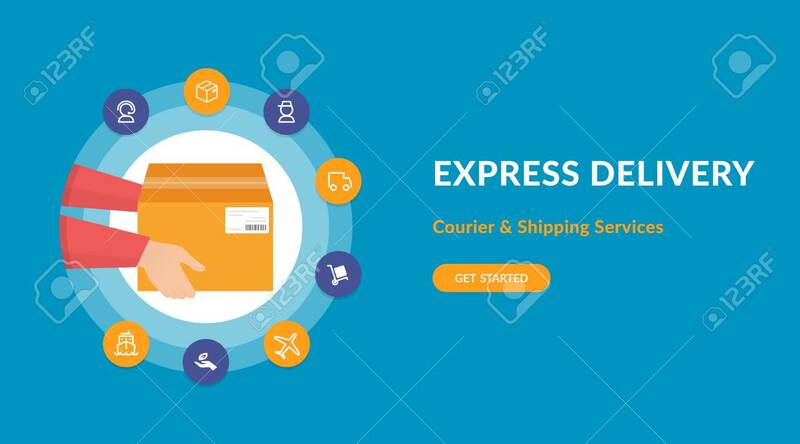 Flat Concept Vector Website Template And Landing Page Design Of Courier Has Delivered A Carton Box And Logistics Related Icons Around Him Lizenzfrei Nutzbare Vektorgrafiken, Clip Arts, Illustrationen. Image 106807366.